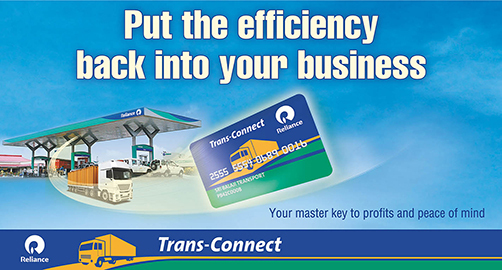 With over 1.6 lakh registered customers, Trans-Connect is a unique program which offers “Total Fleet Management solution” for Fleet Owners. Trans-Connect became the fastest growing program of its genre in INDIA very quickly in the year 2006. Its success came from the firm belief that the customer (transporter) was seeking convenience and peace of mind while doing the transactions with us. Our fleet program offers convenience through a host of technology led services accessible to customers from any place and on the move. Our assurance of superior quality fuel and the right quantity each time, helps our customers manage their businesses more efficiently. Your master Key to PROFITS and PEACE of mind.